Great class! Highly recommend! Brian was extremely knowledgeable and thorough with everything. Definitely a great class no matter your background! Stellar course from a knowledgeable, personable, and engaged instructor. Bryan related to each student and focused on their specific needs while ensuring everyone in the class was up to speed. Experienced or not, I highly recommend this course. Brian provided a very professional and educational experience for my wife and I. He answered the plethora of questions that I had for him, as a new resident of the state of Illinois, both during the class and when I called him beforehand. Furthermore, the class was both practical and engaging, keeping my wife and myself interested throughout. We now feel adequately prepared to be CCW permit holders and look forward to taking more advanced tactical training courses with Brian in the future. The classroom size was great, the instructor was very professional and knowledgeable in the subject of conceal and carry. I recommend it to all my friends and family. Having not shot a gun since about 40 years ago in Sumner Camp I signed up for Concealed Carry of Illinois class wanting to learn fire arms safety and to be able to shoot a gun again. I was very self-conscious of myself because I worried that I was going to be tossed in a room full of intermediate to expert shooters and I was going to be the odd man out. After taking the class in July of 2018 I can say that my experience with Concealed Carry of Illinois was the exact opposite of that. To me, the class felt like a bunch of people like myself wanting to learn more. No one was trying to show off or be over the top and the room was full of people from all levels of experience. The material was presented in a very well organized way and our instructor Brian took his time to respond to everyone’s questions as they came up and was a true professional teacher all the way through. Before during and after the class I felt very welcome and part of the group and made friends that I am sure will go on. I recommend Concealed Carry of Illinois to anyone at any level of knowledge for a top experience focused on safety, training and education. 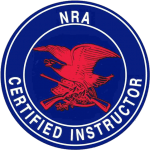 Having not shot a gun since about 40 years ago in Sumner Camp I signed up for a Concealed Carry of Illinois class wanting to learn fire arms safety and to be able to shoot a gun again. I was very self-conscious of myself because I worried that I was going to be tossed in a room full of intermediate to expert shooters and I was going to be the odd man out. After taking the class in July of 2018 I can say that my experience with Concealed Carry of Illinois was the exact opposite of that. To me, the class felt like a bunch of people like myself wanting to learn more. No one was trying to show off or be over the top and the room was full of people from all levels of experience. The material was presented in a very well organized way and our instructor Brian took his time to respond to everyone’s questions as they came up and was a true professional teacher all the way through. Before during and after the class I felt very welcome and part of the group and made friends that I am sure will go on. I recommend Concealed Carry of Illinois to anyone at any level of knowledge for a top experience focused on safety, training and education. Due to prior experience, I needed only the 2nd day of training (concealed carry portion), so I can't speak to the full training. What I did experience was done well, Brian is a knowledgeable and likeable instructor. I appreciated the option of having the fingerprints, photo and application processing all done at the class. No complaints, I would recommend CCI for your CCW permit needs. I have to say Brian is an outstanding instructor .I am a widow looking to be able to defend myself, it is not an easy thing to do.From the moment i walked into the class till the moment i left, I FELT 100% that i was getting the proper training and knowledge that i needed.This man made me feel very comfortable in my surroundings and made it very easy to ask as many questions as i needed to be comfortable with myself.Ladies if your looking to get knowledgeable training i would and will recommend Brian Kossof to many. Brian k was a excellent instructor who explained everything in regards to guns and conceal carry laws. I would recommend his class to anybody who knows about guns or like me a complete novice. I cant say enough good things learned from this class, expected to take in a good amount of useful information but would say 200% more than I had anticipated. Feeling very comfortable to carry and confident with all aspects of safety, Ive already recommended this class to several friends and family members. I just finished my concealed carry class and what I can say is that, I highly recommend Concealed Carry of Illinois to those who wants to get a permit or just want to have basic gun safety training. Brian is such a nice dude and having the guy who facilitates the finger printing come to the classroom is really great convenience to me. Going into this, I did not know what to expect, even a bit scared about what I just signed up for! Brian is a great instructor and created a FUN environment of learning. 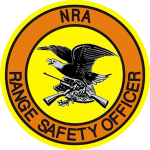 I would recommend this class to everyone with no, little, or a lot of experience around firearms. I am going to even suggest that my wife attends a future session! Thanks again Brian!